Comments: Evergreen broadleaf native to the local area and much of California. 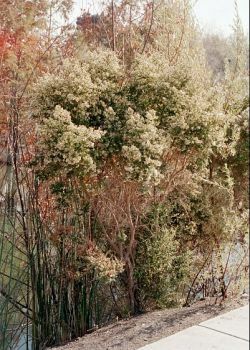 A bush to small tree with small dark green leaves and creamy white flowers in winter (wet season). It is part of California's chaparral plant community. The plant is drought tolerant, and deer-proof.